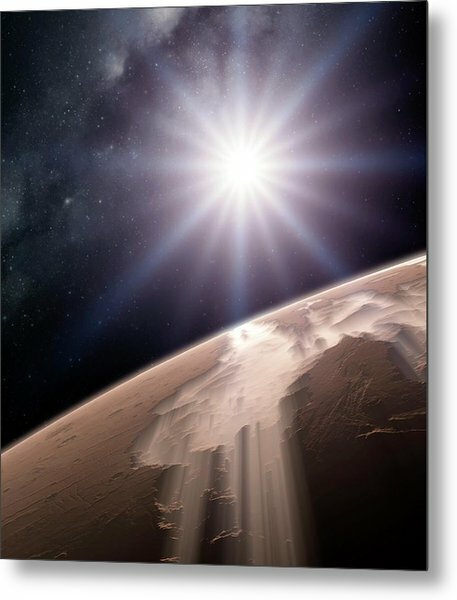 Valles Marineris is a photograph by Detlev Van Ravenswaay which was uploaded on July 24th, 2016. Valles Marineris, Mars. 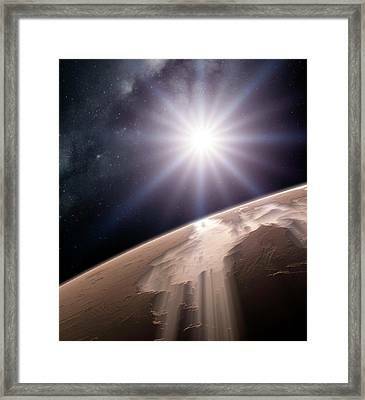 Artwork of Valles Marineris canyon system in the glare of the Sun. 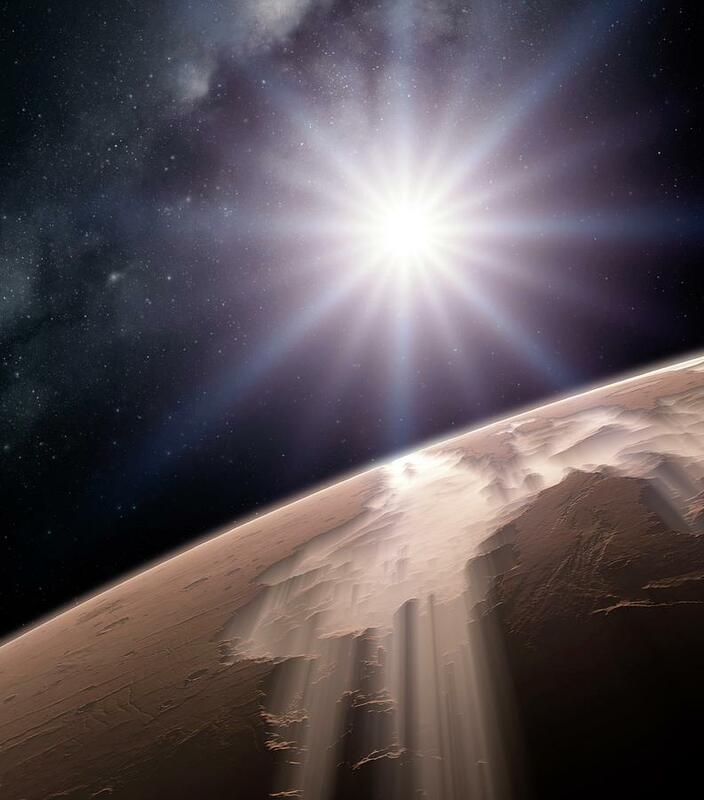 The Valles Marineris is a canyon system found on Mars, the fourth planet in our Solar System. 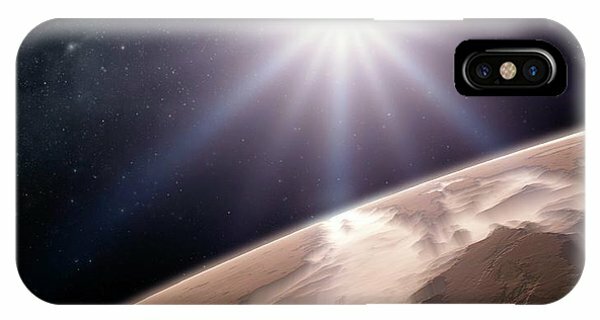 The system is over 4000 kilometres (km) long, up to 200 km wide and up to 7 km deep, dwarfing the Grand Canyon of Arizona, USA. Found on the southeastern edge of the Tharsis Bulge, the canyons were originally created by faulting during the formation of Tharsis. They have been further worn down by water and wind erosion. 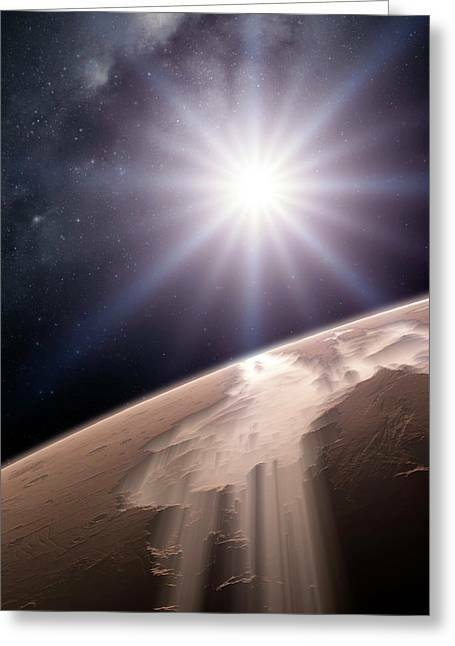 Finally, slumping has helped widen the valley so that the bottom is visible from space. There are no comments for Valles Marineris. Click here to post the first comment.